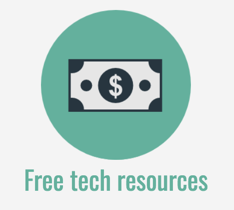 Welcome to the third instalment in a 5-part series about free music iPad apps (following on from 19 Free iPad Apps for Musical Creativity and 14 Free Musical Instrument Apps). 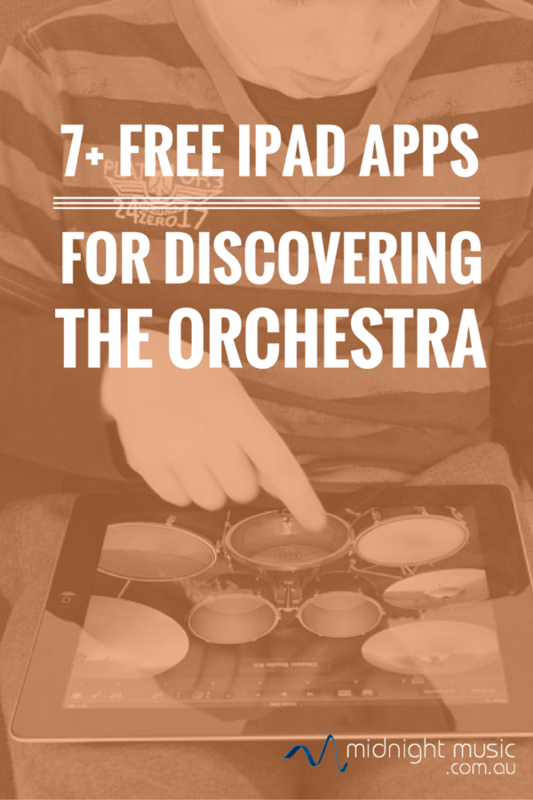 This time we take a look at apps to help students discover the instruments of the orchestra and their repertoire. 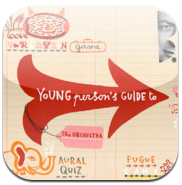 Created by the Britten Pears Foundation, the Young Person’s Guide To Orchestra app was created to celebrate the centenary of Britten’s birth and is one of my favourite free orchestral apps. 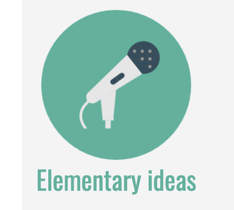 Aimed at primary/elementary-aged children, the app has lovely illustrations by Sara Fanelli and includes a complete recording of the work. You can follow along with the score or watch video recordings of the performers and conductor. The app also includes information about the orchestral families, the instruments and about Britten himself. 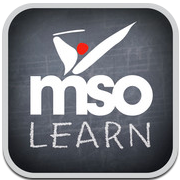 The Melbourne Symphony Orchestra’s MSO Learn app is another favourite free orchestra app for music education. Many of the professional orchestras of the world have mobile apps that give you ready access to their upcoming concert dates, ticket bookings and some listening examples (see below for a few examples), but the MSO have gone the extra mile to provide quality educational information that can be used in the music classroom or instrumental teaching studio. Discover the orchestral instrument families, information about each instrument and about the MSO performers. 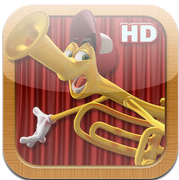 The app includes recommended listening, audio examples and answers to some quirky questions from 15 of the MSO players. 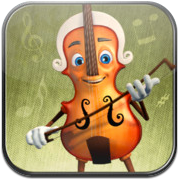 Melody Street is a website, ebook and collection of mobile apps that help introduce young children to music and instruments of the orchestra. 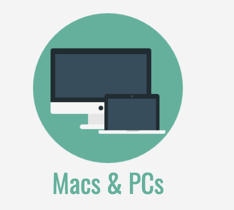 Almost all of their interactive materials can be accessed online, without the need for the mobile apps so you can choose which version best suits you, your setup and your resources. The House On Melody Street is a free interactive ebook that tells the story of instruments of the orchestra learning to live in harmony. The story is narrated by 10-year-old musical prodigy Ethan Bortnick and accompanied by a 60-piece orchestra. 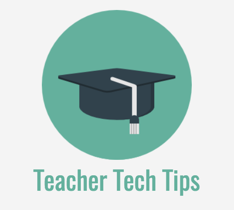 The app is a companion resource to the online version of the book. At the time of writing, the app version only has chapter 1 of the story available, with chapters 2 and 3 listed as “coming soon”. You can read the second and third chapters in the online website version of the ebook. 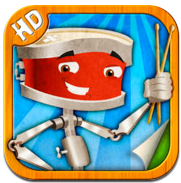 Also from Melody Street is a free app called My Musical Friends. Discover the orchestral families – strings, woodwind, brass, pluck, percussion – listen to individual instruments and learn fun facts. The final Melody Street app is an interactive version of Mozart’s Rondo Alla Turca, where you get to decide who joins the performance by 10-year old Ethan and Val Violin. Heidi Horn, Timmy Trumpet and Febe Flute are all keen to take part. 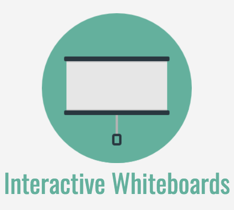 Like the other Melody Street resources, you can visit the website version of Mozart Interactive. 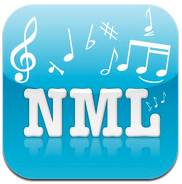 The Naxos Music Library app gives you access to the extensive list recordings in the Naxos collection. 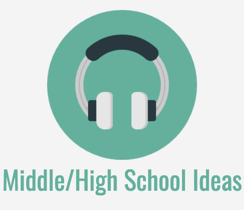 Whilst the app is free and has some included content at no cost, you or your school will need to pay for a subscription in order to access the entire library and for the ability to set up playlists. However, there are a good many classical works included for free which you can access without the need to sign in: between 10-20 pieces from popular composers such as Mozart, Beethoven, Bach, Brahms and Dvorak. The slightly bizarre and not-quite-worth-it LA Philharmonic conducting app: choose an orchestral excerpt (very short) and wave or tap your phone/iPad to “conduct” the orchestra. Each tap or wave advances the music on one beat – the faster you tap/wave, the faster the audio will play back. The audio playback is not smooth, due to the fact that they must have had to split up the audio file into one-beat sections for the purposes of the “game”. There’s no feedback on whether you are conducting at the right speed – other than the piece sounding right (if you know it!). 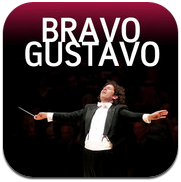 A good many of the world’s professional orchestra’s have their own free apps available that give you quick access to concert tickets, listening examples (some are complete pieces, others offer only excerpts), and events calendars. 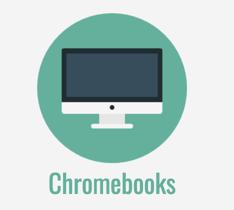 Orchestras with apps in this category include the San Francisco Symphony Orchestra, New York Philharmonic, London Philharmonic, Sydney Symphony Orchestra, Singapore Orchestra and even the Youtube Orchestra of 2011. A search in the iTunes Store will lead you to these apps if you’re interested in knowing more about your local orchestra. 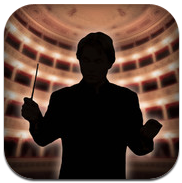 If you have some money to spend, there are some truly beautiful paid orchestra apps available. A special mention must go to The Orchestra. It’s well-worth the $15 for the stunning videography, audio, images and scores. 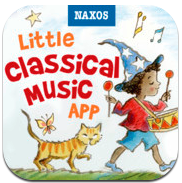 Also worth checking out is the range of gorgeously illustrated orchestral apps by Naxos: My First Classical App, Little Mozart, Little Beethoven, the Little Classical Music app, The Carnival of the Animals app and the My First Orchestra app – each around the $4-$6 mark. Like this article? 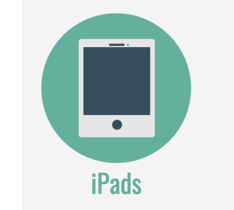 Want more help with iPads? 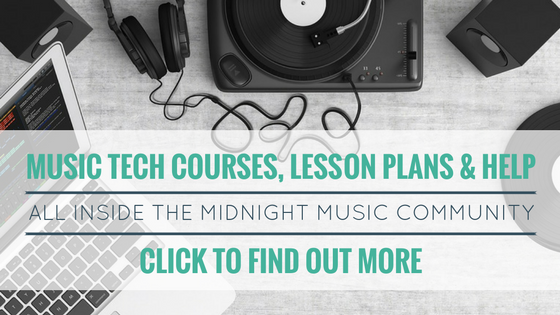 Would you like more music tech lesson plans, ideas and ongoing help? 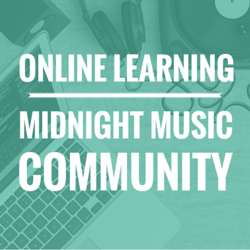 Come and join me inside the Midnight Music Community – online professional development and personalised help for music teachers. 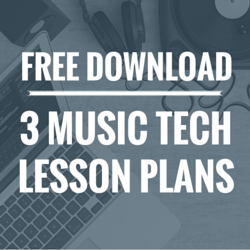 Includes a whole collection of iPad music lesson plans. Thanks Katie, I had a student writing a unit of work for students learning about orchestral instruments using iPads and can tell her to take her research here! Excellent article!